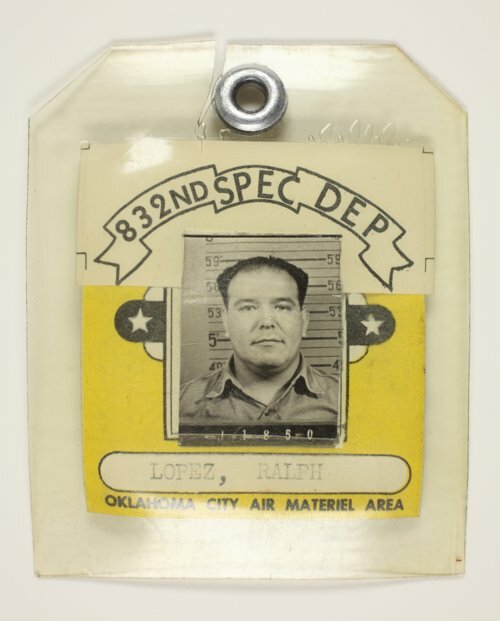 This photograph shows Ralph Lopez's identification badge for the 832nd Spec. Dep. at Tinker Air Force base in Oklahoma City, Oklahoma.